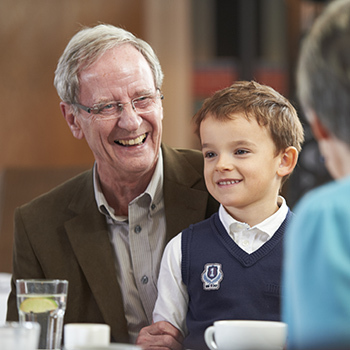 Eaves Court offers everything you need to live at the heart of a thriving community with a wealth of lifestyle benefits for you to savour so you can truly revel in your retirement. 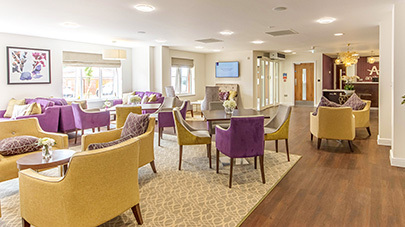 Surrounded by like-minded neighbours and friends that share a similar outlook on life, you will enjoy the communal facilities, beautifully maintained environment, and feel reassured by the care and support available. You’ll love being able to indulge in the first-class facilities and stunning spaces Eaves Court has to offer. An elegant lounge, Vista Cafe and a private cinema screening room are just a few examples of the facilities you can enjoy in the modern and contemporary communal centre. 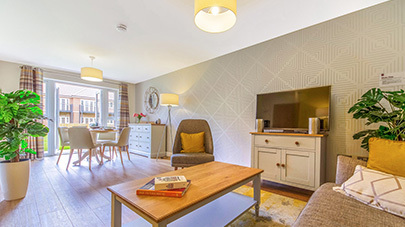 Eaves Court benefits from an open and inviting community, where family and friends are always welcome, and where there is always something new to enjoy. 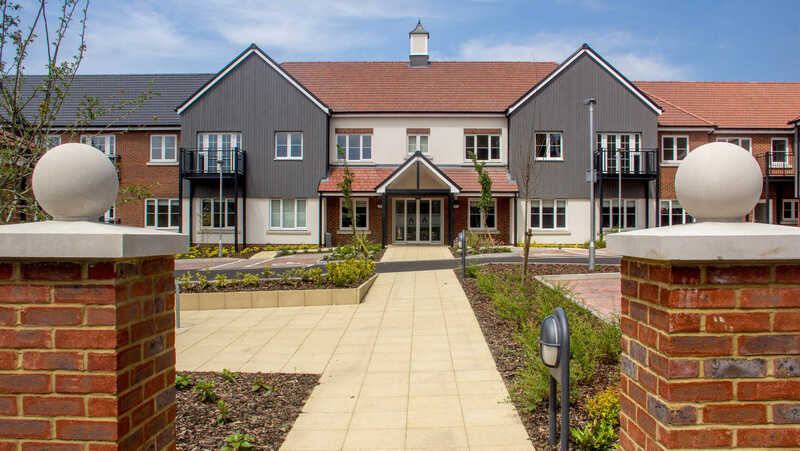 Located in the heart of Princes Risborough, not far from the Chilterns Area of Outstanding Natural Beauty, Eaves Court also enjoys beautiful views, and is within walking distance of nearby shops and amenities, meaning you can be as active outside the development as within. Buying an apartment at Eaves Court also removes the burden of property maintenance and the fear of unexpected bills. Living at Eaves Court you will no longer have to worry about day-to-day matters such as external building maintenance, gardening, building insurance or window cleaning, Anchor take care of all of these tasks, leaving you free to enjoy the next chapter of your life. In addition to the experienced estate manager and dedicated Anchor Homecare staff that you will get to know well at Eaves Court, 24-hour support is provided through Anchorcall; an emergency call telephone alarm system installed in every apartment. Anchorcall is monitored 24hrs a day by our friendly, well trained staff, ensuring you can call for help should you ever need it. Safety and security features, including monitored fire and smoke alarm systems throughout the building and a security camera network covering the perimeter of the whole site, offers extra peace of mind. Eaves Court is a care led development, this type of housing is also sometimes known as assisted living. 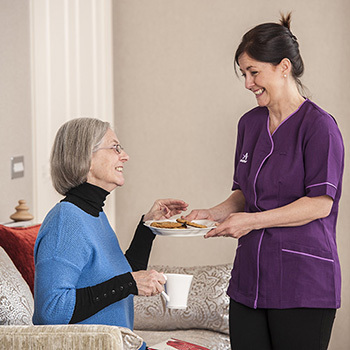 At Eaves Court you will be provided a minimum of two hours of care every week by the dedicated care and support team based on-site, called Anchor Homecare. Find out more about how our experienced team work with you to develop an individual care plan tailored to your personal circumstances and lifestyle preferences. Eaves Court offers a range of meticulously designed apartments, each benefiting from their own unique features and views, but all sharing the same high standards of finish, with comfortable access to the beautiful gardens, communal areas and facilities. Eaves Court offers more than just beautiful homes. Living here you’ll be able to indulge in the first-class facilities in the modern and contemporary communal centre and stunning spaces surrounding your new home. Our range of massive incentives* can help provide more space for your belongings, give you full support before, during and after your move and even give you a travel solution. 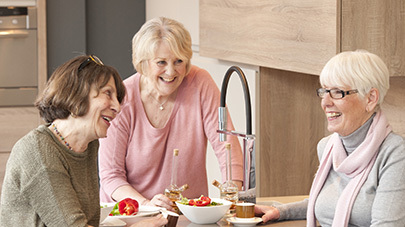 Whether you're interested in buying an apartment or would simply like to find out more about the care and lifestyle benefits on offer at Eaves Court, our team would love to hear from you, please give them a call on 0808 102 7209.